Four Fleming College occupational therapy assistant/physiotherapy assistant students are doing a seven-week placement at Riverview Manor. Pictured above, from left to right: Jeel Patel, Divya Patel, instructor Natasha Annette-Lawrence, Domenique Douglas and Van Tran Thi Thao. 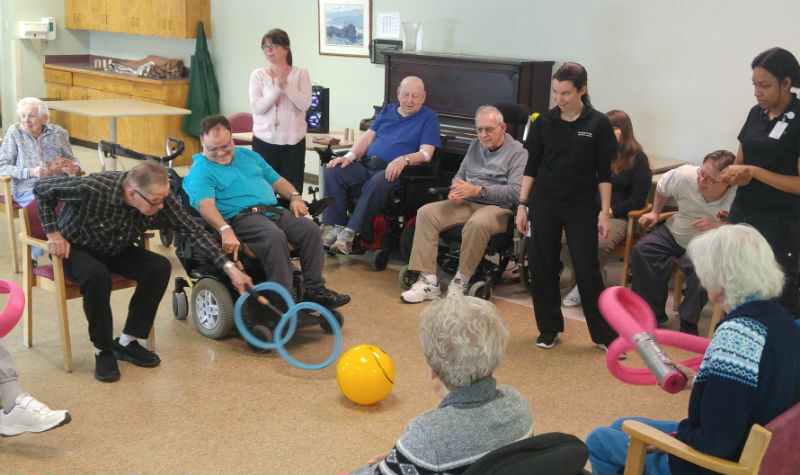 Pictured above, Riverview Manor residents were treated to a “tournament day” organized by placement students from Fleming College. Fleming College occupational therapy assistant/physiotherapy assistant students Peterann Gray (left) and Mina Tran (right) are pictured here with their instructor, Natasha Annette-Lawrence. 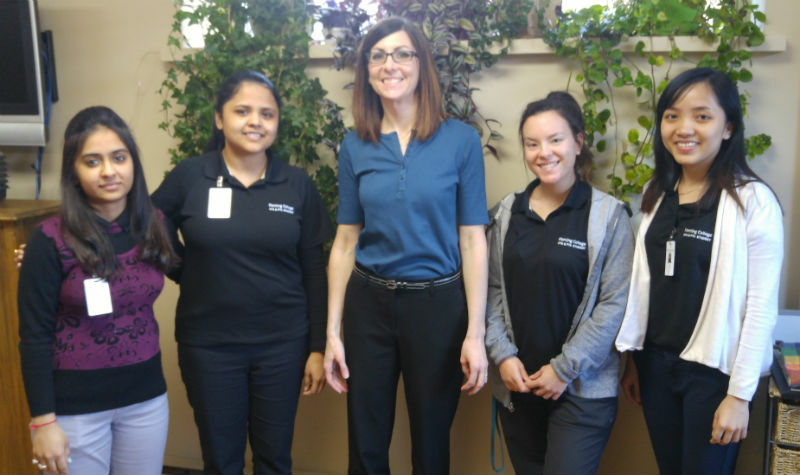 Four Fleming students are participating in a seven-week placement at Riverview Manor. Fleming College instructor Jeanette Boersma (standing, far left) is seen here with some of her occupational therapy students and physiotherapist assistant Jody Harris. 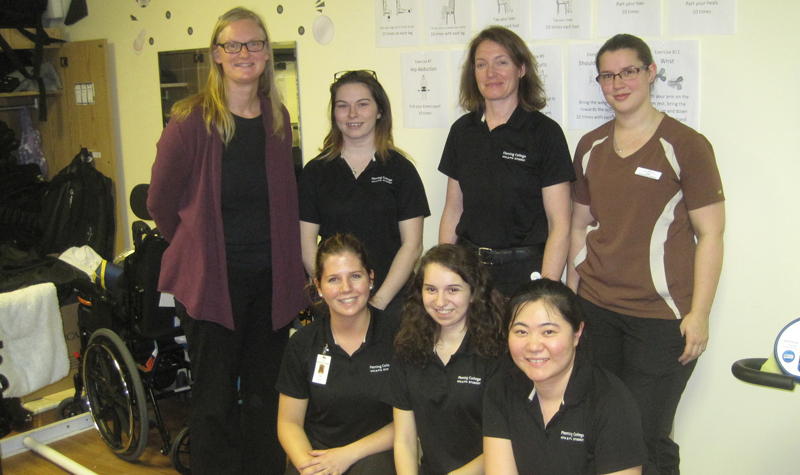 Fleming College instructor Jeanette Boersma (standing, far left) is seen here with some of her occupational therapy students and physiotherapist assistant Jody Harris (standing, far right). The students are doing a placement at Riverview Manor as part of a partnership between the Peterborough long-term care home and college. 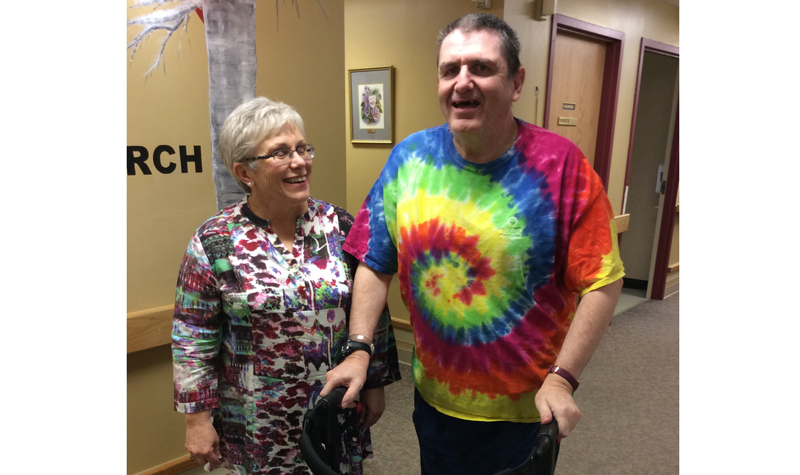 Frost Manor resident Mike Lane and Achieva Health physiotherapy assistant Debbie Ellison are seen here walking the halls of the Lindsay long-term care home. 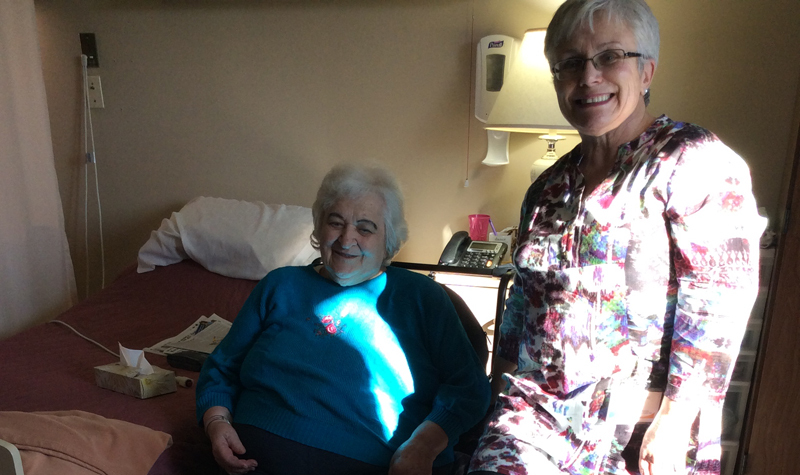 Resident Ala Kruszynska and Achieve Health physiotherapy assistant Debbie Ellison are seen here spending time together. Ala has been successful in FrostManor’s physiotherapy program. 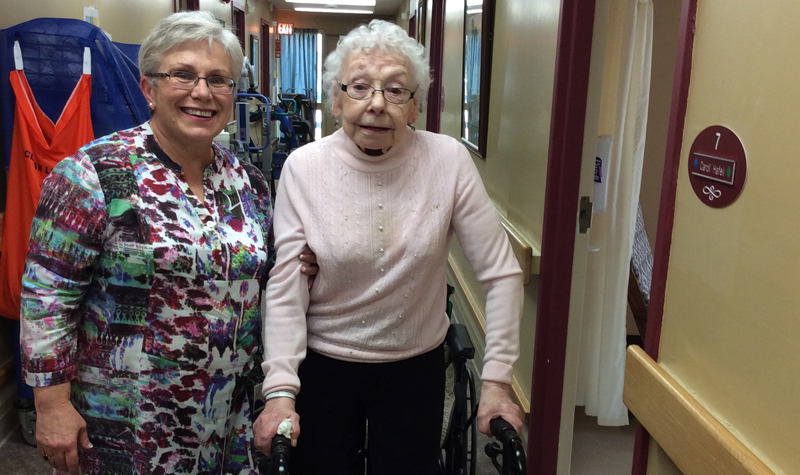 Frost Manor resident Joan Taylor and physiotherapy assistant Debbie Ellison are seen here taking a walk.